Outdoor Recreation Northern Ireland has been appointed to deliver a new training programme to create awareness and educate outdoor recreational users in Donegal on responsible use of their environment. The programme was launched in Letterkenny on Thursday 8th November. This new training programme is led by Leave No Trace Ireland, the national centre for outdoor ethics, in partnership with Donegal Local Development Company CLG (DLDC). This exciting new pilot project is funded from the Donegal DLDC and LEADER. It is the first of its kind in Ireland and will support outdoor recreational groups and communities by providing them with a series of free custom educational training workshops and resources to enable them to protect, preserve and enhance responsible outdoor recreation in Donegal’s upland, coastal and inland environments. There has been substantial increase in the numbers of participant’s engaging in outdoor recreation over the last ten years in Ireland. As a result, there is increasing evidence of environmental and social impacts on our countryside. The impacts on our countryside include in habitat loss, vegetation damage, soil impacts, destruction of important natural and cultural features and a general degradation of the natural environment. These impacts also affect the recreation experience for outdoor users. Leave No Trace Ireland has demonstrated through their environmental awareness programmes, that people can reduce their impact in the outdoors, while enhancing the recreation experience among communities. 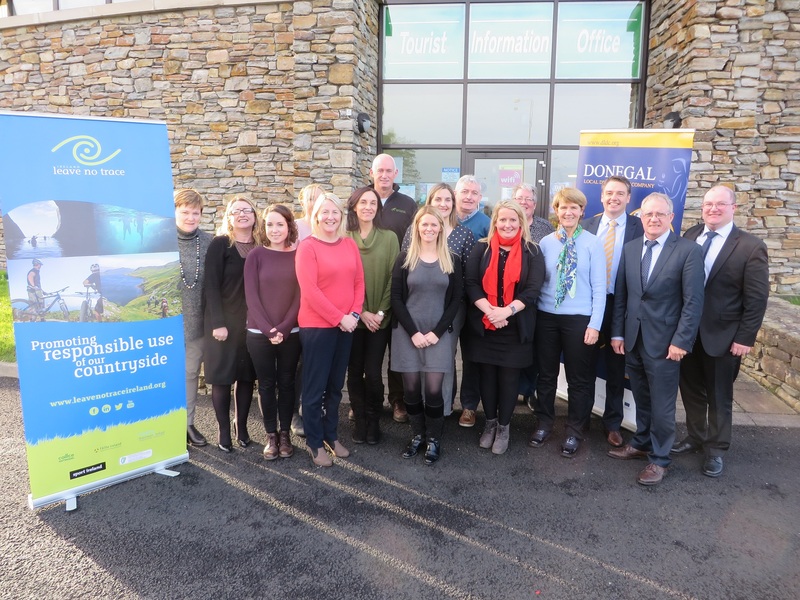 Therefore, the aim of this project is to increase the number of outdoor recreational and community groups in Donegal engaged in outdoor recreation to enjoy the outdoors responsibly and to lessen their impact on the natural environment whilst doing so. The educational workshops and resources will be made available to the following five user groups within the Donegal area; walking and hiking groups, cycling groups (off road and on road), watersport groups (inland and coastal), adventure race and adventure festival organisers and community groups. If you or your community fall into one of the five groups listed above and are interested in learning more about how you can help to preserve the areas you love and use for outdoor recreation, training courses are expected to start in March 2019.